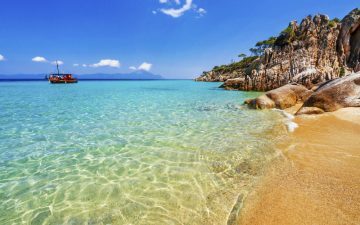 As the largest island of Greece and the fifth largest in the entire Mediterranean Sea , this isle boasts an impressive 650 miles of idyllic coastline and a seemingly unending landscape of scenic, mountainous landscape. Sun worshippers flock from far and wide to soak up the constant Greek sunshine, and families can make the most of the many fun-filled activities of the island. 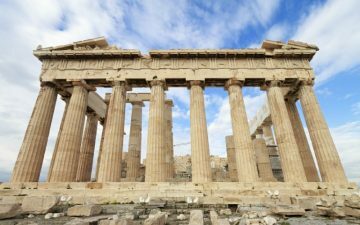 As well as this, lovers of history are fascinated by the vast array of ancient monuments on display and where the famously friendly locals will proudly tell you is the birthplace of modern civilisation. Whatever type of holiday you’re looking for, you’re certain to find a charming destination waiting for you in Crete. 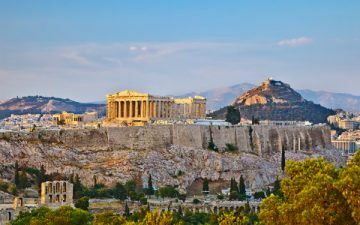 Read on to discover some of the most popular attractions for you to explore during your Greek getaway. 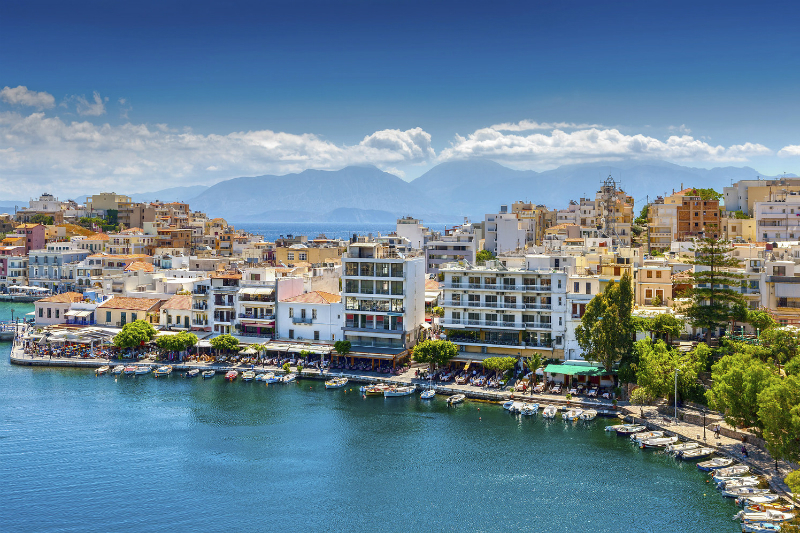 It’s no secret that Crete has a rich, historical past spanning thousands of years. There is nowhere better to visit if your idea of a dream getaway involves getting stuck into fascinating artefacts and visiting some of the world’s most wonderfully preserved historical sites. The ancient ruins of the Minoan Palace of Knossos is one of the most visited ruins in Europe. Said to be the home of the mythological Minotaur and his legendary labyrinth, these crumbling ruins are a true ancient treasure. Heraklion is an interesting place to stay if you want to step back in time and get a glimpse of Minoan life as the city is situated just a few miles away from Knossos palace. Incredible pieces of history situated in Heraklion include the huge walls of ‘the old city’; this imposing fortification was first built by the Moors and was later reinforced by the Venetians in the 15th century. Heraklion is also home to the Historical Museum of Crete. Housed in a neoclassical mansion and established in 1953, this gallery is a fascinating day out. Situated on the westernmost point of Crete, Chania is widely considered to be one of the most relaxing and idyllic regions of the island. The old town is a wonderful mix of medieval architecture, elegant villas, large mansions and the city’s most famous feature; the Venetian harbour. This picture perfect port is a popular place for Mediterranean cruises, traditional fishing boats and luxurious yachts. 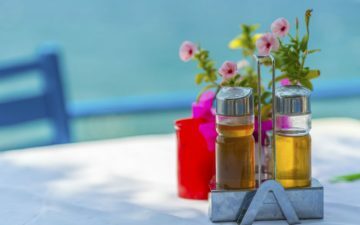 An ideal spot to enjoy some delicious local cuisine on the outdoor terrace of a waterfront café and watch the colourful comings and goings of the harbour. Just a five minute walk from the harbour lies the beautiful and peaceful bay of Chania. Some of the finest hotels in Crete can be found here. The blissful beach of Rethymnon boasts 12km of soft, white sand and a warm, shallow surf; this beach is known to be child friendly and is an ideal place for the little ones to paddle in. A lively, fun filled promenade surrounds the bay, which is filled with 2km of shops, cafes and even a small arcade. Nicknamed the jewel of Crete’s north coast, it’s easy to see why so many young families are drawn to the old town charm of Rethymnon. The tourist friendly yellow bus takes families through Rethymnon and into the surrounding towns. The Aquaworld aquarium in the neighbouring village of Chersonosis caters for children of all ages and is easily accessible by yellow bus. Here the whole family can get up close and personal with an amazing array of aquatic wildlife. The Lefka Ori mountain range (which translates as the White Mountains) occupies a vast region of western Crete. This breathtakingly beautiful mountain range is normally the first choice for lovers of nature, especially keen hikers. There are a number of quaint, traditional villages nestled in the scenic mountain slopes, including Imbros, Madaro and Anoyia. These dreamy destinations provide long, relaxing nature walks into the White Mountains of Crete. This picture perfect mountain range is suitable for all levels of skill and ability, from a laid back, simple strolls to vigorous walks for experienced hikers. The area is renowned worldwide for its extensive expanses of unspoiled countryside. For example, the hillside village of Vamos is home to lush green land, rolling vineyards, orchards, vibrant orange groves and long stretches of almond blossom.